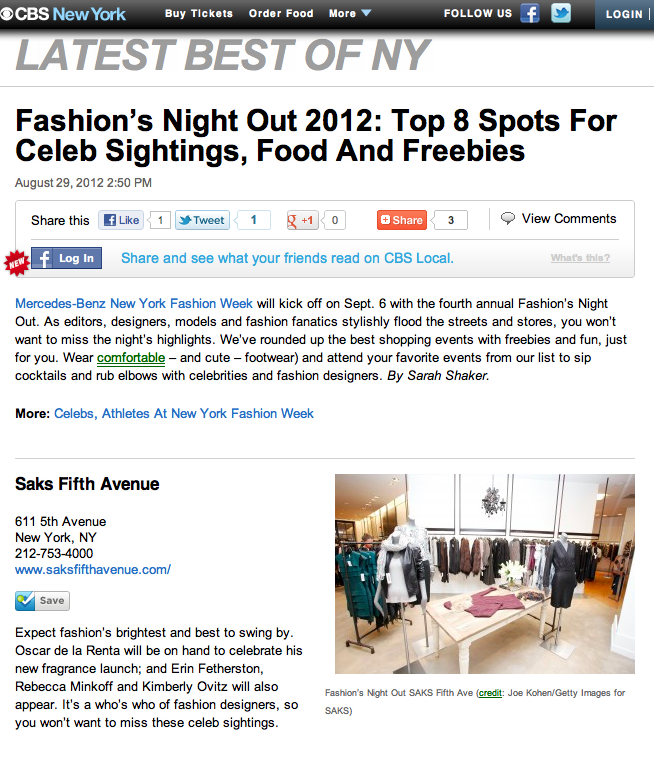 Mercedes-Benz New York Fashion Week will kick off on Sept. 6 with the fourth annual Fashion’s Night Out. As editors, designers, models and fashion fanatics stylishly flood the streets and stores, you won’t want to miss the night’s highlights. We’ve rounded up the best shopping events with freebies and fun, just for you. 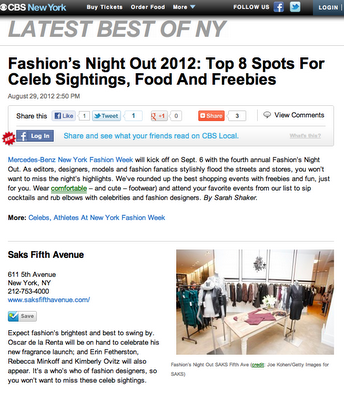 Wear comfortable - and cute - footwear and attend your favorite events from our list to sip cocktails and rub elbows with celebrities and fashion designers.